Wed., 4 Dec. - Mon., 20 Jan.
Wed., 17 Jul. - Fri., 26 Jul. Mon., 15 Jul. - Fri., 26 Jul. Tue., 16 Jul. - Fri., 26 Jul. Tue., 16 Jul. - Thu., 25 Jul. Thu., 18 Jul. - Sat., 27 Jul. Wed., 17 Jul. - Mon., 29 Jul. Tue., 16 Jul. - Tue., 23 Jul. Thu., 18 Jul. - Sun., 28 Jul. Tue., 16 Jul. - Sat., 27 Jul. Sun., 14 Jul. - Sun., 28 Jul. Wed., 17 Jul. - Tue., 23 Jul. Tue., 16 Jul. - Sun., 28 Jul. Wed., 17 Jul. - Thu., 25 Jul. Wed., 17 Jul. - Sun., 28 Jul. Sat., 20 Jul. - Sun., 28 Jul. Fri., 19 Jul. - Sun., 28 Jul. Thu., 18 Jul. - Wed., 24 Jul. See all 372 properties in Newcastle Intl. Situated in Newcastle-upon-Tyne, this hotel is 2.7 mi (4.4 km) from Kingston Park Stadium and within 6 mi (10 km) of Kirkley Hall Zoological Gardens and City of Newcastle Golf Club. St. James' Park and Quayside are also within 9 mi (15 km). Newcastle Airport Station is only a 1-minute walk. 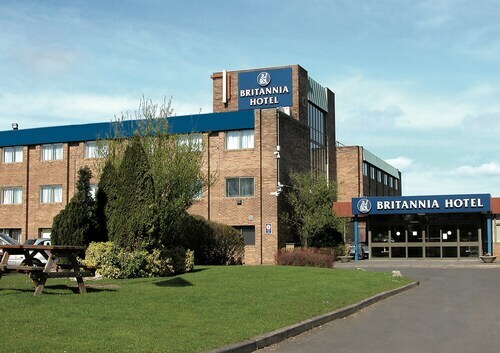 Situated in Newcastle-upon-Tyne, this hotel is 2.7 mi (4.4 km) from Kingston Park Stadium and within 6 mi (10 km) of Kirkley Hall Zoological Gardens and City of Newcastle Golf Club. St. James' Park and Quayside are also within 9 mi (15 km). Newcastle Airport Station is only a 3-minute walk. 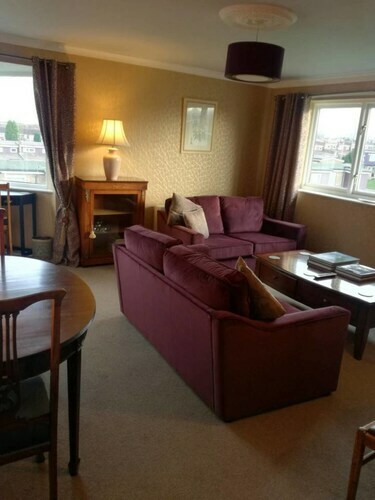 Situated in Newcastle-upon-Tyne, this bed & breakfast is 3.1 mi (5 km) from Kingston Park Stadium and within 6 mi (10 km) of Newcastle Racecourse and Northumberlandia. City of Newcastle Golf Club and Kirkley Hall Zoological Gardens are also within 6 mi (10 km). 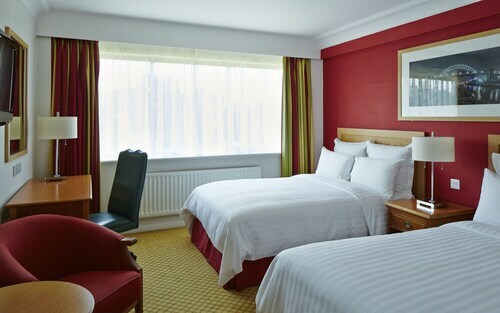 This family-friendly Newcastle-upon-Tyne hotel is within 1 mi (2 km) of City of Newcastle Golf Club and Newcastle Racecourse. Kingston Park Stadium is 2.7 mi (4.4 km) away. Situated in Newcastle-upon-Tyne, this residence is close to Kingston Park Stadium and City of Newcastle Golf Club. Area attractions also include St. James' Park and Quayside. Situated near the airport, this hotel is 1 mi (1.5 km) from Kingston Park Stadium and 2.6 mi (4.2 km) from City of Newcastle Golf Club. St. James' Park and Quayside are also within 6 mi (10 km). 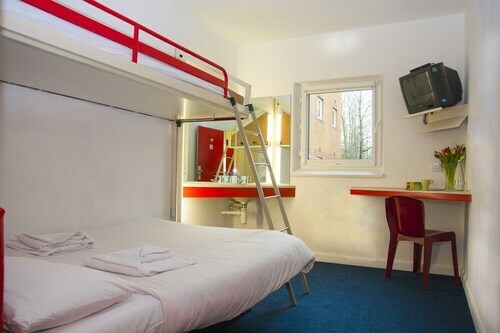 Situated in Newcastle-upon-Tyne, this hostel is 1 mi (1.6 km) from Kingston Park Stadium and 2.6 mi (4.2 km) from City of Newcastle Golf Club. St. James' Park and Quayside are also within 6 mi (10 km). 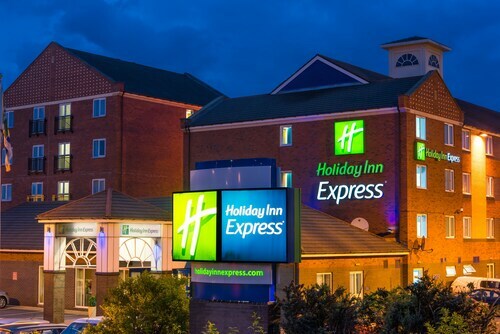 Located in Swalwell, this hotel is 0.8 mi (1.3 km) from Intu and within 6 mi (10 km) of Castle Keep and Quayside. Tyne Bridge and Sage Gateshead are also within 6 mi (10 km). MetroCentre Station is 17 minutes by foot.